How has your day been? Mine was exhausting, but in a good way as I exercised a lot today. I have been enjoying interacting with you, and reading all your comments. 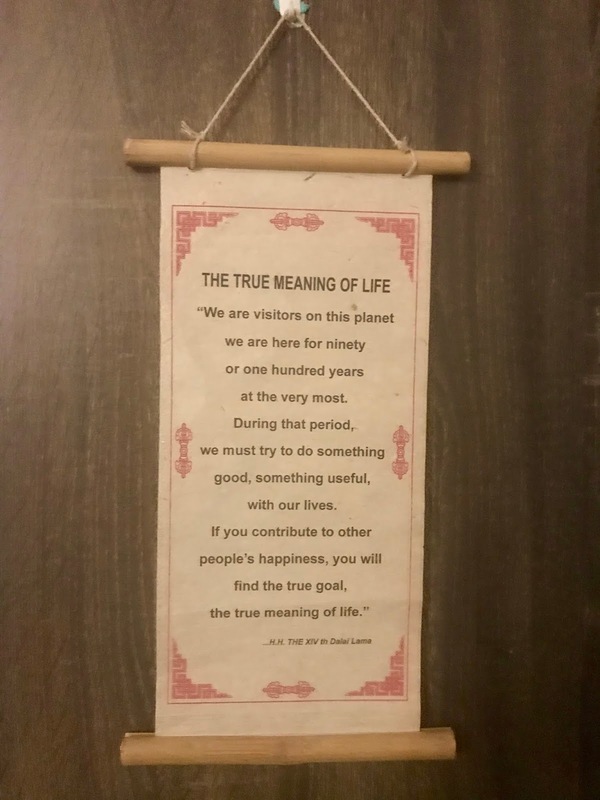 Today, I am sharing with you two quotes that hang on the wardrobe in my room. These are quotes I find very meaningful. 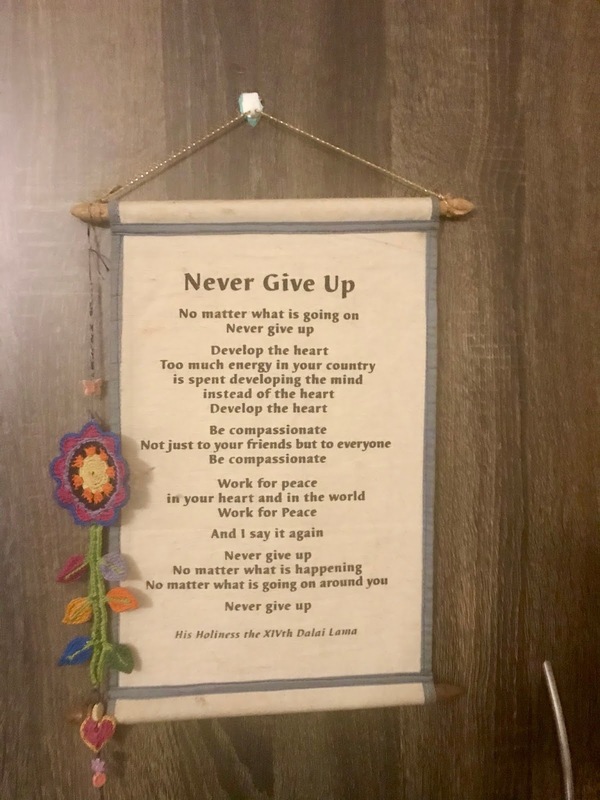 I had picked these scrolls in the course of my travels (I am fortunate to be able to travel a lot) and now they hang in my room where I see them every day. I relate to them a lot, and find them profound. Which of these quotes do you relate to? Do you relate to them at all? Are there any quotes you live by? Share with me in my comments. I loved the first one. when it comes to failure, I really don't know how to move on gracefully, I find it extremely difficult to start all over again. In college I had submitted final draft of dissertation and my principal madam asked me to rewrite 6 chapters again. I was numb and I could not write a single word for two days but then the new draft was appreciated by every one. sometimes its very hard to stay motivated. Beautiful Quotes indeed. For me, my Mother's comments about things we happened to see on our way while walking together; or her perception about life and its strange ways make more sense. Now that I am away from her, her dialogues are my constant companions. For example, whenever she would see me giving up to sleep she would always say, "Vidyarthi ko sukh kahan aur sukh chaahney wale ko vidya kahan." In English it means A student has no rest and a person who wants rest will not attain knowledge. Every little achievement demands hard work and dedication. I liked both quotes. Very true those lines are must follow in life. Thank you so much for spreading positivity which u does as always. I can relate to both of them. We should never ever give up. We should do something useful while we are here. I believe that the world needs love. These communal fights, terrorism, racism, violence, human trafficking are very unhealthy, not just for us, but for the next generation. They learn from us. Something very important today is keeping the roads clean, like we keep our homes clean. I feel blessed to be born in a democratic country. I feel that democracy should always live. I love many quotes. They focus on Karma, never losing faith and hope. There is no substitute for hard work and determination. If you dream of doing it, work to achieve it. Have patience. Self Love is important. Loving others unconditionally is very important. Focus on present. Don't fear. Focus on giving, not getting. Karma is watching you. LOVE is very important in life. One quote is very important in my life. My school's motto is "Service before self". That has made a huge difference in my life. Beautiful quotes Ma'm! I can relate to both.. Actually, I'm a kind of person who loves to read quotes whenever I feel down.. They influence me a lot.. I try to find suitable quote related to every situation and now I have a good collection in my phone..
"If it doesn't challenge you, it won't change you.. Don't run from challenges, embrace them.. No one grows in comfort"
"Over every mountain there is a path, although it may not be seen from the valley"
both the quotes are truly inspiring! i really loved it! life is truly about never giving up. Hy ma'am.. Ur blogs are awesome as alwys.. The second quote which u have mentioned in today's blog s really awesome which I cud relate myself.. As u mentioned in the previous blog about the topics tht v need u to blog m mentioning it here.. Cud plz give some tips about focusing in ones work and to get rid of all distractions.. I can relate myself for the 1st quote.. As I fight for everything n try not to give up.. No matter how bad I m feeling on that moment... Mam and you????? I could relate to the first quote ma'am. Also I loved the dangler on the left side of the scroll, it looks pretty and adds to the beauty of the scroll. Why some people are always lucky! Forty seven things I learnt. 5 reasons I do a blog marathon.